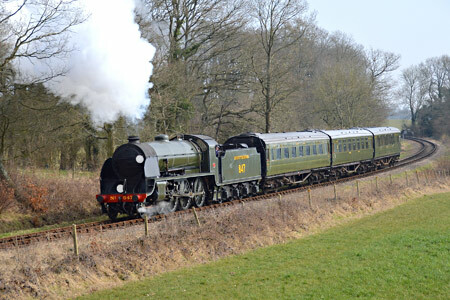 Southern Railway S15-class 4-6-0 No.847 was originally restored by the Maunsell Locomotive Society in 1992. The "Goods Arthur" locomotive had been rescued from Barry scrapyard in 1978, and is now in its second period of operation on the Bluebell following an overhaul undertaken between 2006 and 2013. Photo by Steve Lee, taken during a Jon Bowers' photo charter on 11 March 2015. This stock list also provides access to photographs of the locos, and links to web pages about the engines. 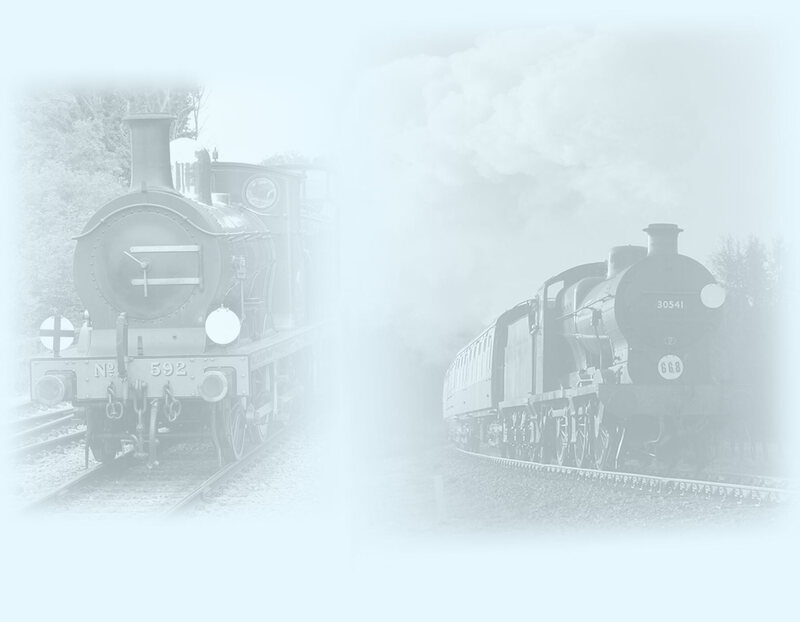 The Locomotive Page provides background information on the collection, and the Operational Locomotives page gives more detailed information about those you will find working the trains. Many of these locomotives are on static display in the Loco Shed at Sheffield Park when not in use. For safety reasons, those undergoing repairs in the Loco Works are not accessible. The steam crane is listed in the Wagon Stock List. Copyright © 7 October 1995 by Richard Salmon.